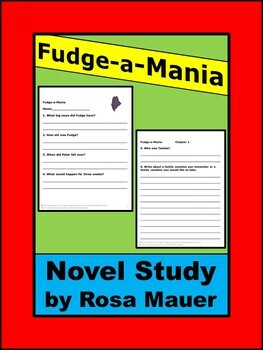 Fudge-a-Mania is the focus of this book unit. 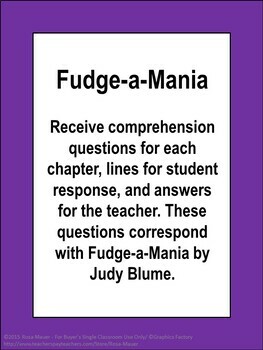 In this packet you will find reading comprehension questions to correspond with each chapter of "Fudge-a-Mania". Answers are provided in a teacher copy. Download the questions and answers for chapter 1 as the free sample preview. 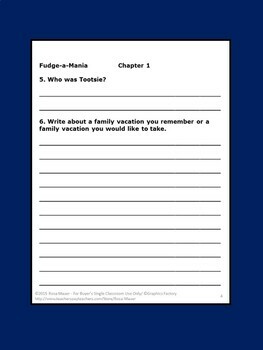 Visit my store to view products such as task cards, book units, and technology lesson plans.